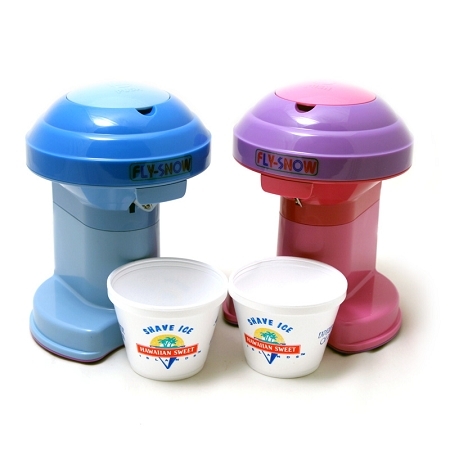 Our Electric Ice Shavers are made of durable plastic and are reliable, easy to maintain and use. Our Shavers come already assembled and ready to go. Just plug it in, add some ice cubes and before you know it you will be enjoying the tastiest shave ice to come from paradise. Available in light blue and pink.